Oh, GREAT look!! 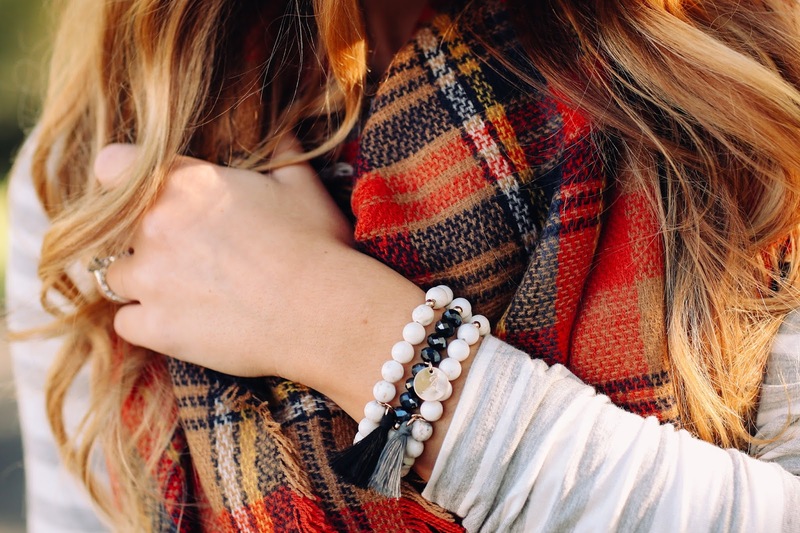 I love that color of tartan plaid so perfect for fall! I love plaid & stripes together as well. In love with that scarf! So cute! I am loving the fall shades in that scarf! How do you always look so adorable? I need that hat and scarf in my life ASAP! 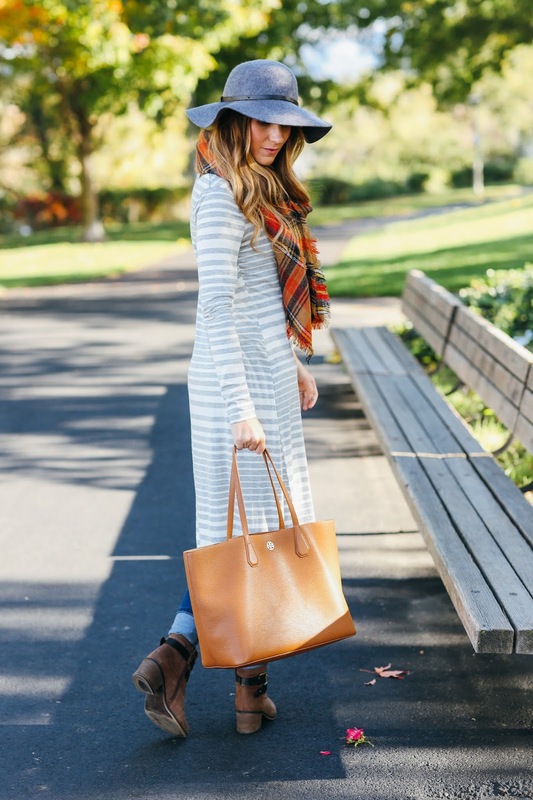 Stripes are such a great stable though for layering in the fall! My favorite is the scarf. This girl loves a good blanket scarf! 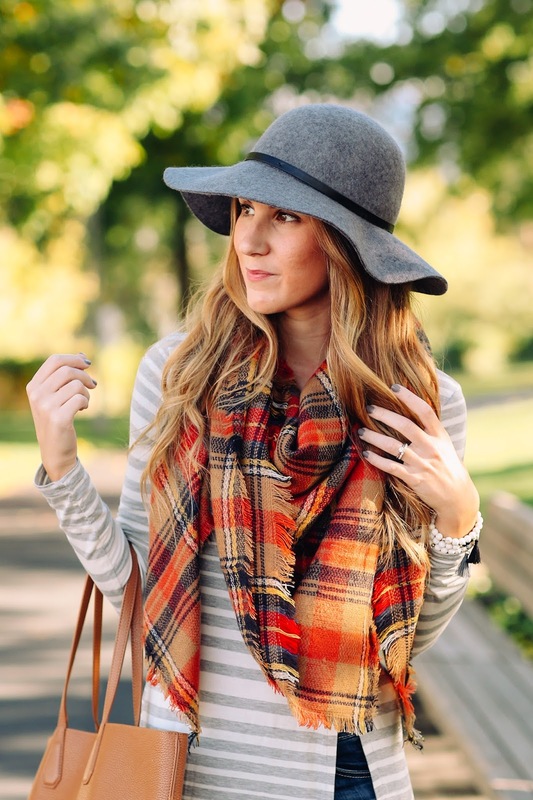 I've seen this pretty fall plaid all over the internet and I may need to add something similar to my collection! This is a great go-to look. I also adore stripes and the length of that top totally gives it a special oomph! Loving the hat and scarf combo! I'm dying over your scarf and bag! It is really fantastic color on you! I LOVE THIS! This scarf was out of stock but now it isn't so I just bought it!!! Love, love, love this top! It's so perfect and I love how you styled it with the layers. Looking good, girl! I love your top. It's so flowy. I also really love your scarf – dare I say it, I'm ready for fall! Love the flowy top and scarf! 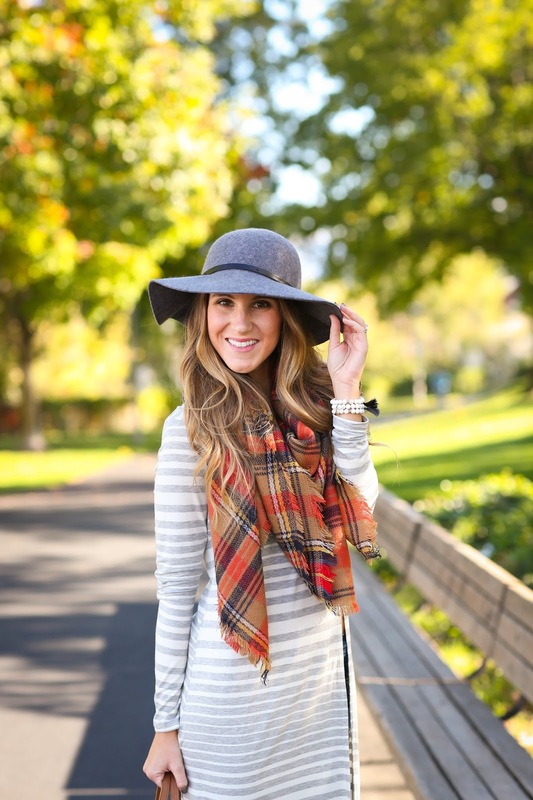 Such a perfect fall outfit! Just came across your blog and yup, I'm in love. Your style is total perfection. Can't wait to keep following your posts! This is so cute! Such an interesting top (and I'd totally wear it with some short shorts in the summer!) and I adore the clash of the warm and cool tones in this outfit. I'm loving the unexpected length of this top!! I AM SO IN LOVE WITH THAT SCARF. It is the epitome of fall! Ugh. So jealous! Hello gorgeous! I am absolutely loving that top! Not sure if I could pull it off, but you are killing it! I've been looking for a blanket scarf just in that pattern recently! 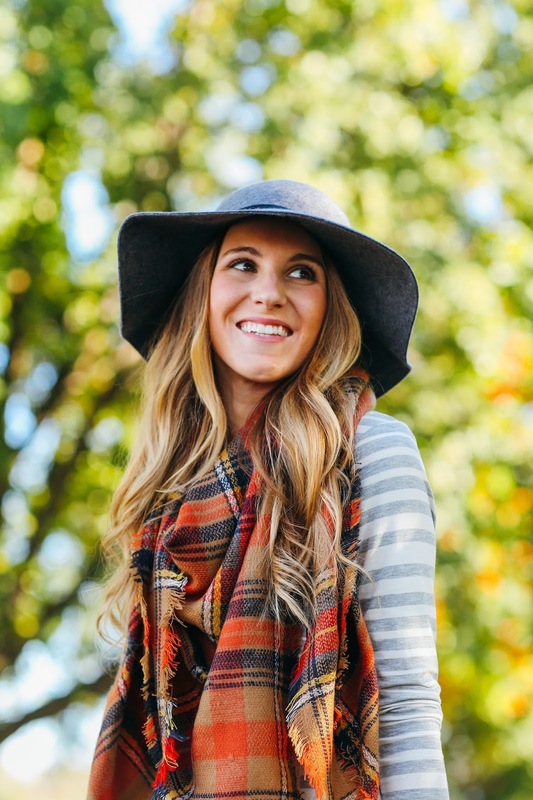 I've fallen in love with felt hats recently, and i'm definitely going to check out yours! I'm always scared to mix prints but you've done it wonderfully. I'll have to remember that this combo works! So cute! That scarf is just perfect!